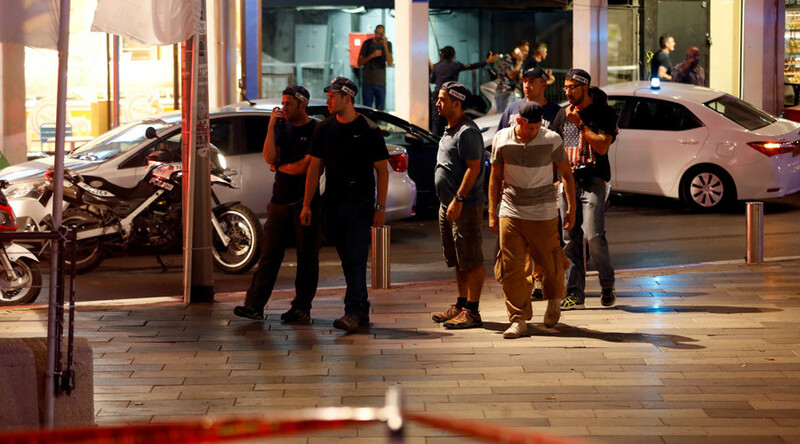 Four people have been killed and several more wounded after two Palestinian gunmen opened fire in a shopping and restaurant area in central Tel Aviv. The attackers, wearing black suits described by witnesses as ultra-Orthodox Jewish outfits, have been detained. EDITORIAL NOTE: The original breaking news headline, based on early media reports coming out of Israel, erroneously suggested the attackers might have been ‘ultra-Orthodox Jews’. As the story developed and more details became available, Israeli police revealed the attackers to have been Palestinian men in dark clothing, possibly disguised as Orthodox Jews. The article, including the headline, was updated accordingly. Horrifying footage from the café where the incident took place showed people leaping from their dining tables and running in panic. Two men clad in black suits could be seen shooting at diners. “Two terrorists arrived at the complex and while firing, and to our regret, nine people were injured to different degrees,” he said. Tel Aviv’s Ichilov Hospital confirmed that four Israelis who arrived in the most critical condition died of their wounds. One of the attackers surrendered to police, while the second suspect was wounded during his arrest, according to Edri. The latter is currently being treated for a gunfire wound in a hospital. The assailants were from a Palestinian village Yatta located near the West Bank town of Hebron, according to police. 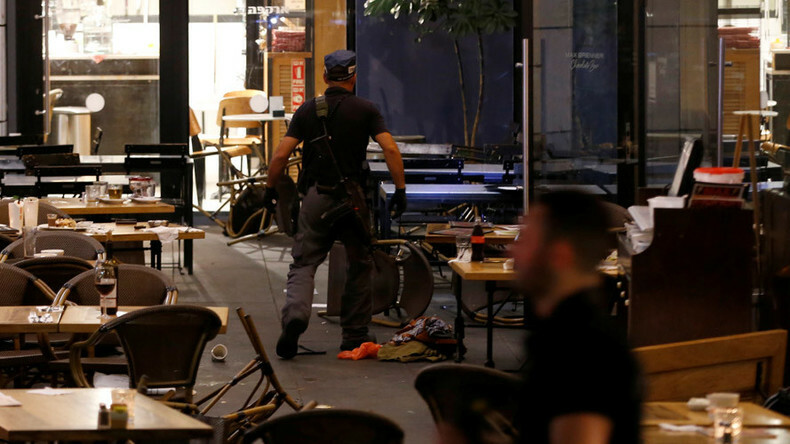 The incident took place at Sarona Market, a popular shopping site in central Tel Aviv on Wednesday evening. It is located close to the Israeli Defense Ministry and General Staff buildings. Islamic militant group Hamas praised the terror attack and the group’s official Mushir al-Masri said it was a “heroic operation” threatening “Zionists” with more “surprises.” Hamas, though, did not claim responsibility for the shootings.